If you google the french dish Bœf B-o-u-r-g-u-i-g-n-o-n (phew) you will see Julia Child’s classic recipe everywhere. Talk about making an impression and leaving a footprint. 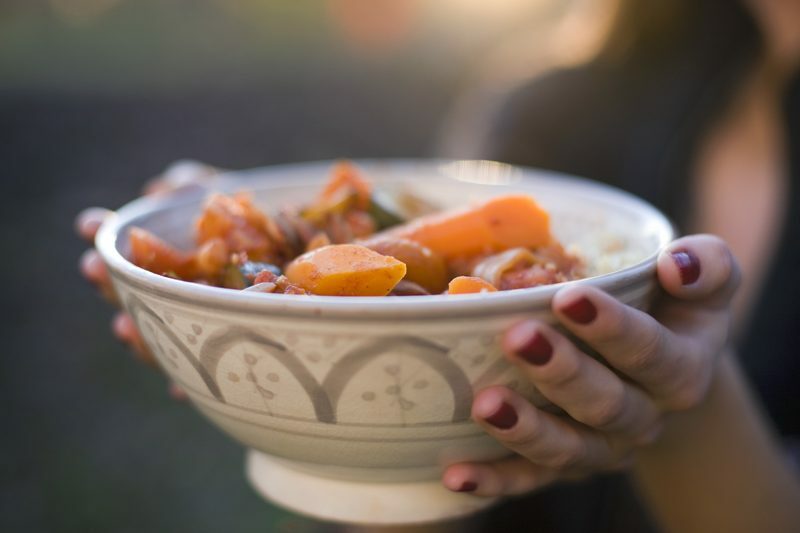 We were looking it up since we have been experiencing a couple cold winter weeks here in Sweden and couldn’t imagine a dish more suitable for this climate than a warm and hearty stew. The Beef Bourguignon is made on beef and bacon, so not the most appropriate dish for vegetarians. But we reckoned that there must be a way to transform that rich, wine oozing hot pot into something more in our taste. After a few experiments it turns out that we were only one letter away. We turned beef into beet. We also added large chunks of mushrooms to give the stew the right texture and flavor. We’re not sure what Julia Child would say if she tried our version of it. Probably “Oh dear no”. But except for replacing the meat we have actually had her recipe as our inspiration when creating this. We did however feel the need to increase the amount of vegetables (how can her recipe only call for one carrot in a whole stew?). And how does it taste? Simply fantastic, if we may say so. It has got those deep and rich thyme and wine flavors, different sort of textures and a hint of sweetness. 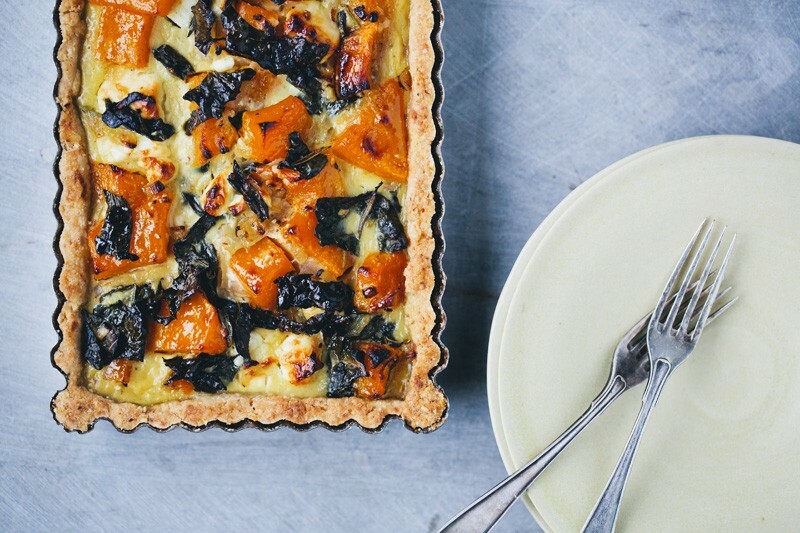 Indulgent winter food at its best. We have seen many recipes combining this type of dish with pasta noodles. We prefer Puy lentils so that is what we paired it with. A potato mash would also work really good. Or perhaps both? This is one of those dishes that works well making a day in a advance. The flavors will become more intense and the vegetables more tender. Cooking the stew: Heat the olive oil in a dutch oven or a large cast iron pot over medium heat. Stir in onions and garlic, sauté until soft. 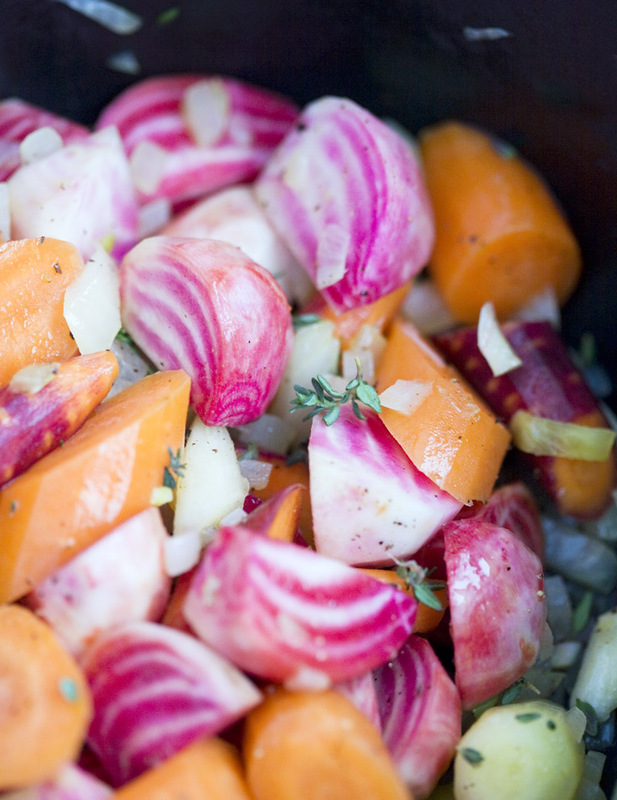 Toss beets, carrots, thyme and salt and pepper into the pan, cook for 5 minutes, stirring occasionally. Stir in the tomato paste, red vine, vegetable stock and bay leaves, let simmer on low heat for 40 minutes. Meanwhile prepare the lentils, mushrooms and pearl onions. Preparing the Puy lentils: Rinse lentils under running water. Bring water to a boil, add lentils and lower to medium heat. Let simmer for 15 to 20 minutes, when almost done add salt. Set aside. 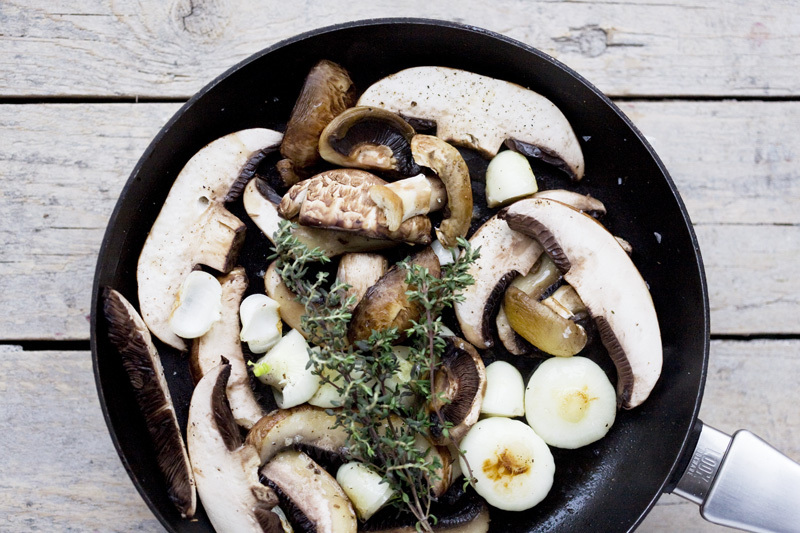 Searing the mushrooms and pearl onion: Heat olive oil in a pan. Lower the heat and sear the portobello, champignon mushrooms and pearl onions, stirring occasionally, until tender and golden in color. Season to taste. Set aside. Finishing the stew: Taste the stew, add more wine, stock or herbs if you like. If you prefer the stew a little thicker, add arrowroot mixture, but this is optional. Add mushrooms and onions and simmer for 10 more minutes. 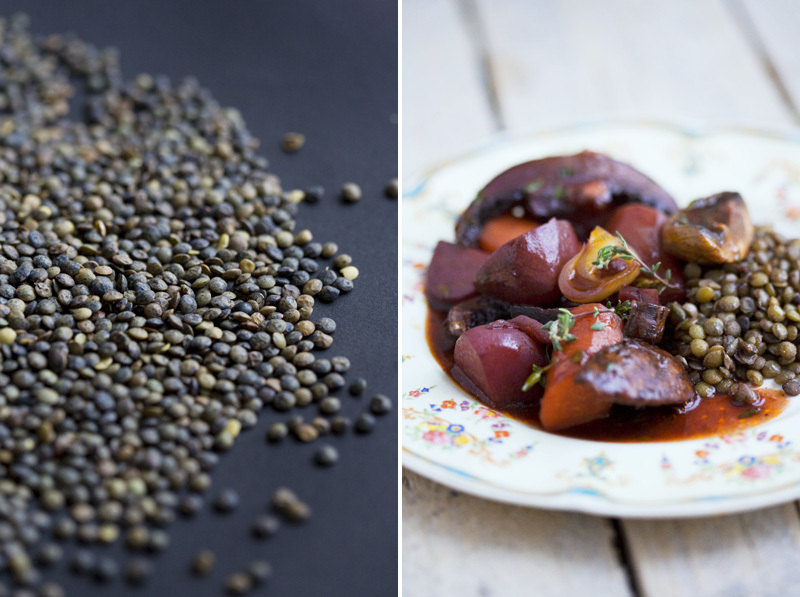 To serve, spoon the stew over a plate of lentils and sprinkle with fresh thyme. Whoa! This sounds awesome! Yum! i am awe of this recipe. 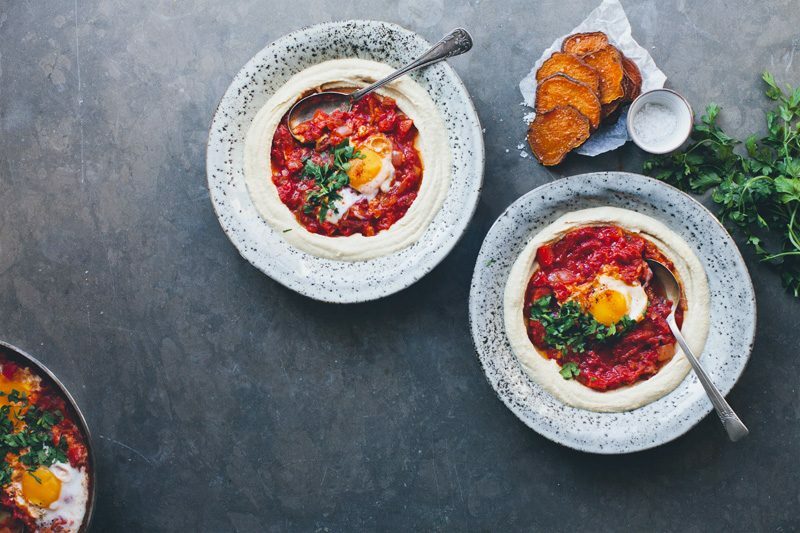 so hearty and flavorful - i can't wait to make it this week! I think Julia would like it. She was always breaking the rules, right? I'm going to pass this onto my neighbor. Her whole family of 6 are vegetarian and she is always looking for good dinners to feed everyone. This looks truly wonderful! What an excellent idea, and so beautifully photographed. Thanks! Haha, I totally read the post title as "beef" and thought, hmm, now that's not GKS style! Then realized it was beet :) Great idea guys! I've never had the real thing, but your's looks like a great veggie version! Great idea! That's so crazy that Julia's recipe only calls for one carrot. Delicious, bright dish. Thanks so much for sharing. I love this: a true classic interpreted in a new way. Have to make it. And I'm longing for lentils right now so that would be perfect too! I'm marking this one down! Looks awesome! I don't think Julia would disapprove at all: She certainly had an adventuresome spirit, and I bet she was one dame who could appreciate a good beet every once in a while. (At least I like to think so.) Regardless, however, I definitely approve: This whole situation looks incredible. Another great recipe! (Broken record, anyone?) I've been dying to open up a nice bottle of red wine, but haven't for fear I would have to (gasp) drink it all. Myself. Now I can happily give some to beets and mushrooms in good conscience. wow, i am absolutely positively making this. i have always wanted to try a vegan bourguignon and this is the one i will make ;) thank you for the fantastic recipe! 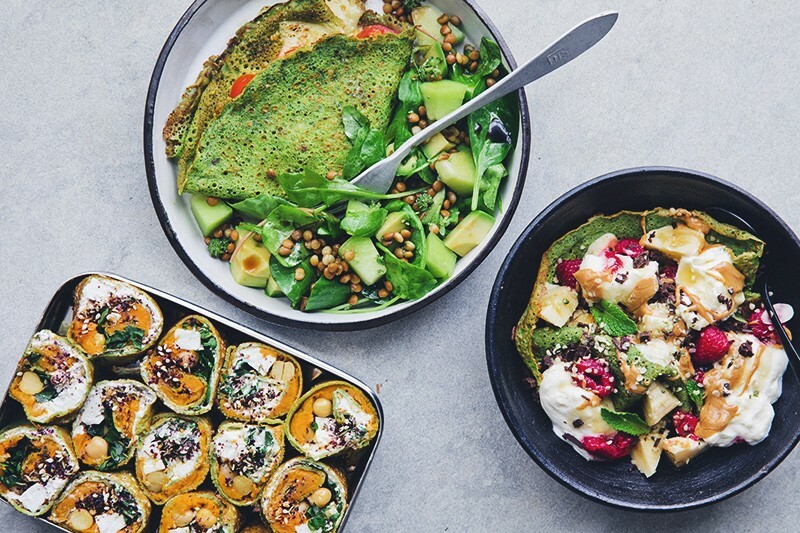 I'm not vegetarian, but I typically cook vegetarian at home and this looks marvellous. While Puy lentils are an absolute favourite of mine, I have to admit your suggestion to serve over a potato mash is enticing! Thanks for sharing. 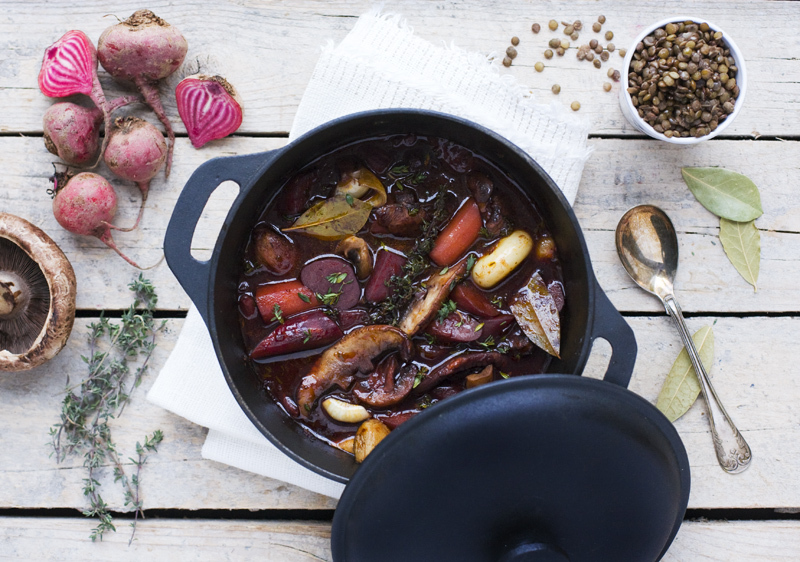 What a beautiful vegetarian version of Boeuf Bourguignon. Yum and gulp! This dish is amazing. As a vegetarian I always wondered how the bourguignon tastes. Now I can taste it. I will definitely cook it. Beautiful guys! Will have to bookmark this one for when winter arrives here in Oz. This looks so amazing! I love your recipes and philosophy on food, every time I come to your blog to check a new post, it makes me happy :) have a great weekend!